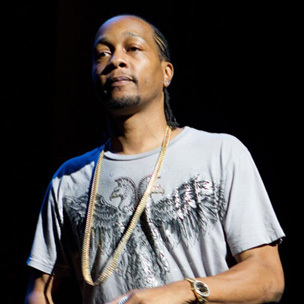 DJ Quik announced that he is retiring from remixing, engineering and mixing in a Twitter update yesterday (October 28). In his Twitter update, Quik announced that he is selling all of his production equipment. He also said he is not going to remix or engineer any projects moving forward. Quik also posted an image of the MPC3000 that he is looking to sell. In subsequent Twitter updates, Quik also wonders if he should burn the MPC onstage. It’s official. I’m selling all my equipment. Furthermore, I will not remix or engineer for anyone from this day forward. Thanks true Fans. There is only one truth. This about me selling my drum machine and keyboards , not about my character. Thank u.
I should’ve gone to eBay 1st to sell my drum machine. Adler says that I should set fire to it onstage like jerry lee lewis and jimi hendrix. That’s an idea. DJ Quik emerged in 1991 with his debut album, Quik Is The Name, which was released through Profile Records. His most recent release came in 2011 with The Book of David. Quik has remixed, engineered and/or produced for various artists, including Tupac, Murs, Salley, Kurupt, Snoop Dogg and Jay Z. In a recent interview with allhiphop.com, Quik said he would sell his backup MPC3000 after his drum machine was stolen.